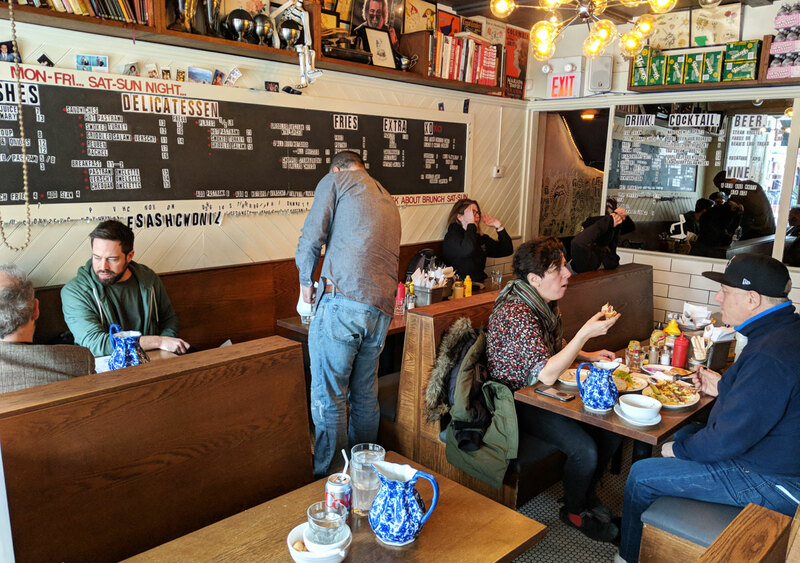 If you were lucky enough to try Caplansky’s at its original digs in the Monarch Tavern, then you’ll know that it was truly something special. One of the things that made their smoked meat stand out was its intensely smoky flavour. This was greatly diminished once they moved to their permanent location and had to start making the meat in greater quantities (and of course, in a sad turn of events, Caplansky’s is now gone altogether). 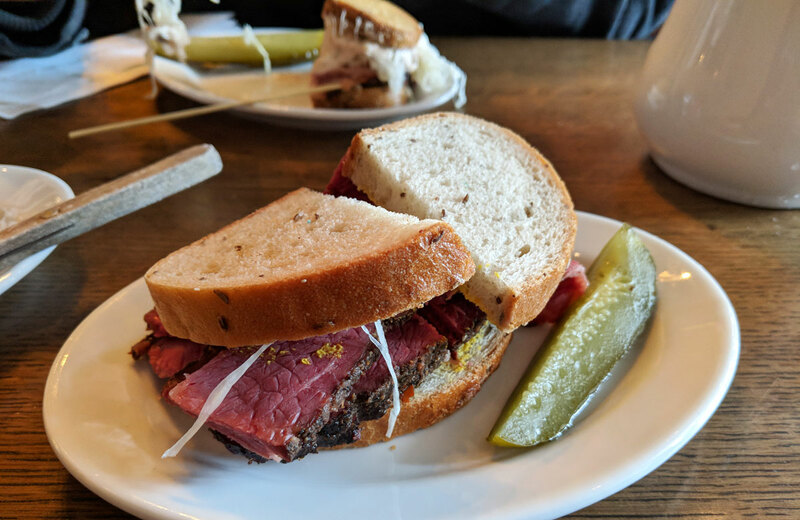 Well, it looks like Torontonians craving that unique smokiness now have somewhere to go, because Rose and Sons was recently transformed into an old-school deli, and they’re serving up pastrami with a distinctively smoky flavour. 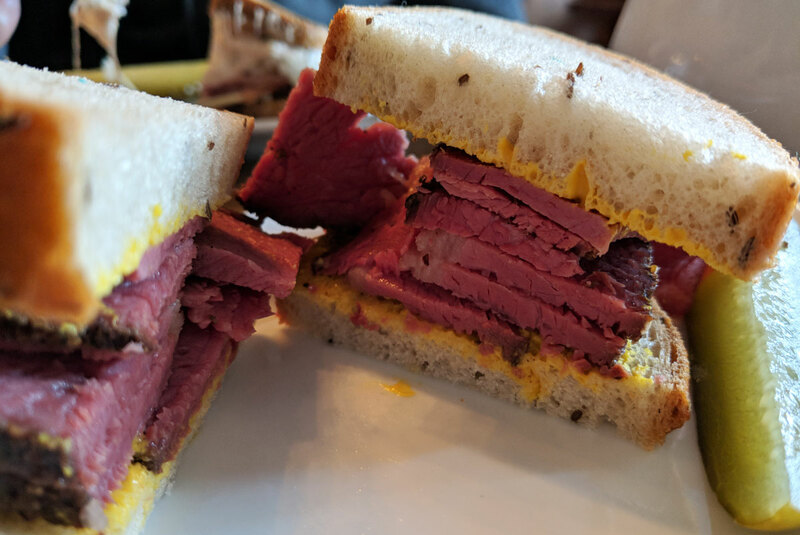 It’s actually quite good — I got the hot pastrami sandwich, and my only real complaint is that the meat should have been a bit fattier (they called it medium, but it was much closer to lean). That’s an easy fix, though: I’ll ask for it fatty the next time I go, because there’s definitely going to be a next time. It’s a great sandwich, with perfectly thick slices of tender, smoky, nicely spiced pastrami. I also tried the potato and onion knish, which didn’t fare quite as well. 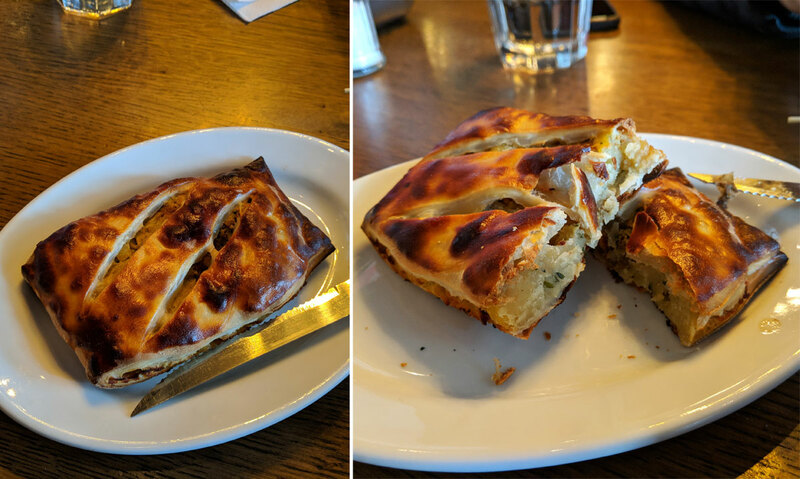 I think this might have been the second or third knish I’ve had in my entire life, so it’s possible that I’m just not a fan — but this was dry pastry encasing bland, crumbly potatoes with a slightly oniony flavour. It desperately needed a gravy or some kind of sauce, or really anything to give it just a little bit of moisture (not to mention flavour). I didn’t care for it.